–The Seneca Valley Boys Soccer team defeated Landisville-Hempfield 3-2 in double overtime in the state 4A First Round. Keegan McVicker scored with seven minutes remaining in the double-overtime. The Raiders will meet Abington Saturday in the PIAA quarterfinals. The Seneca Valley Girls defeated Central Dauphin 2-1 in a shoot-out. They move on to face Souderton Saturday. –Mars defeated Manheim Central in the 3A Girls First Round. Caroline Wroblewski and Taylor Hamlett scored the Planets goals in the second half. Mars will face Blue Mountain Saturday in the state quarterfinals. –In the 2A Girls First Round: Villa Maria eliminated Karns City 5-0. –Defending state champions Knoch defeated Elizabeth Forward 3-1 in the 3A First Round. The Knights move on to meet Dover in the state quarterfinals Saturday. –Freeport defeated Redbank Valley 3-0 in the 2A First Round. The Yellow Jackets will meet North Catholic Saturday in the state quarterfinals. North Catholic defeated North Star 3-0 last night. –North Allegheny shutout Erie McDowell in 4A. They get State College Saturday. 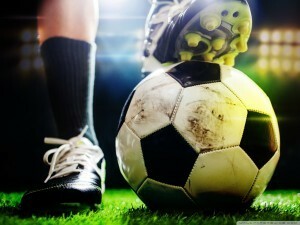 The post PIAA Soccer and Volleyball Playoff results from Tuesday appeared first on ButlerRadio.com – Butler, PA .